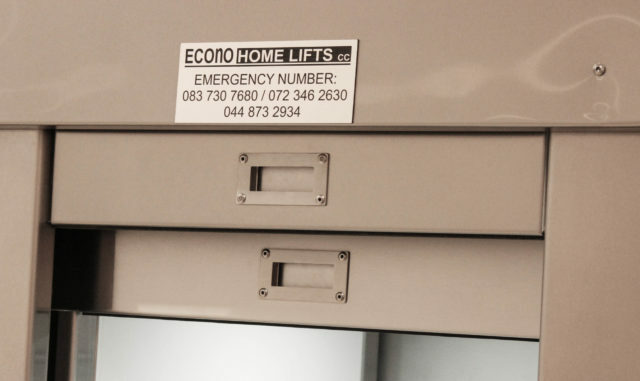 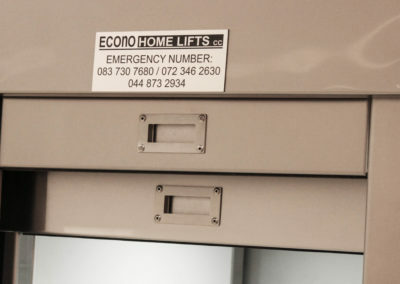 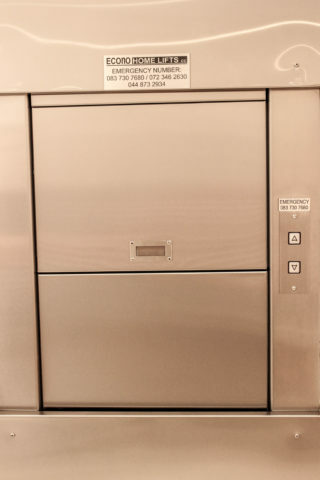 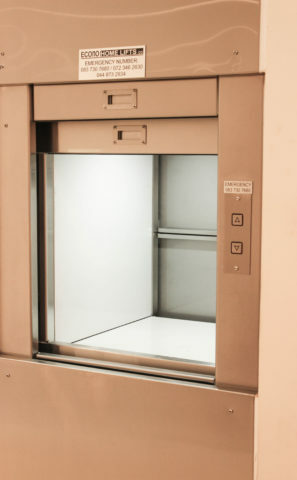 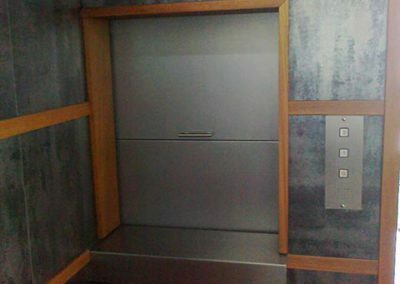 Dumbwaiter Lifts are a small goods lift mainly used in houses and restaurants to carry food and groceries between floors. 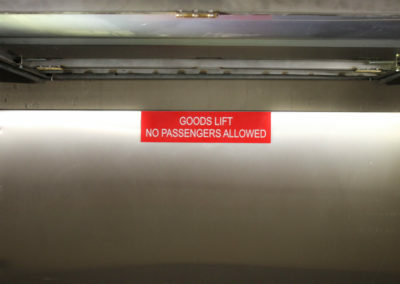 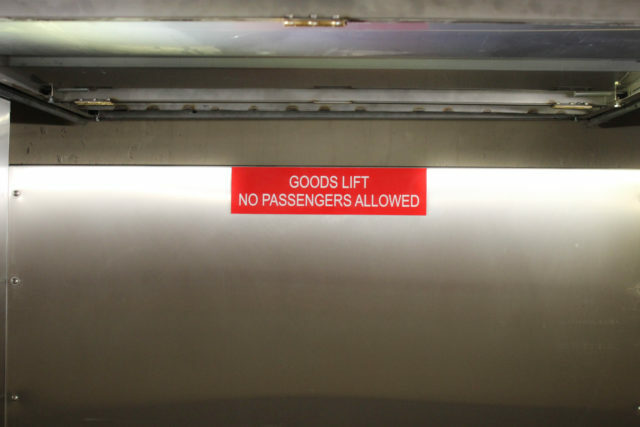 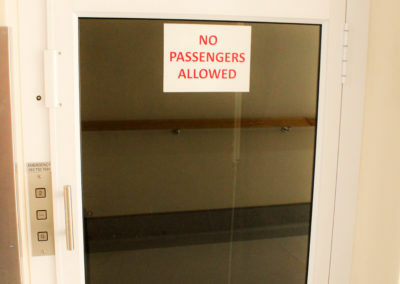 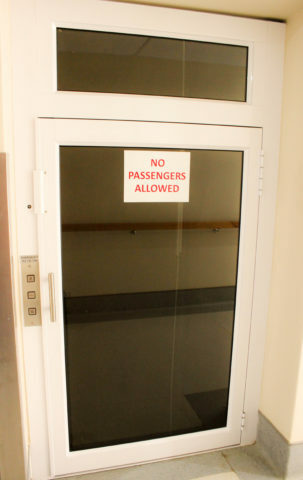 No persons are allowed in the lift, meaning that only goods may be lifted. 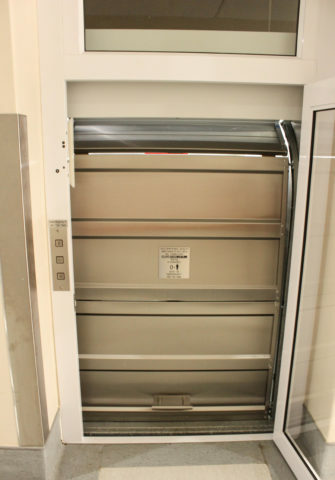 The maximum speed of the hydraulic goods lift is 150mm/sec and a payload capacity of up to 150Kg can be achieved with the standard design. 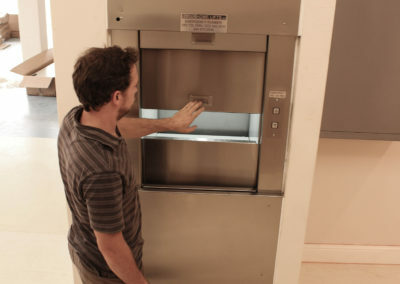 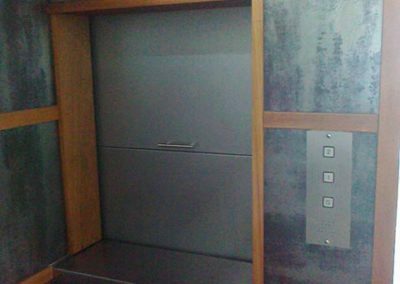 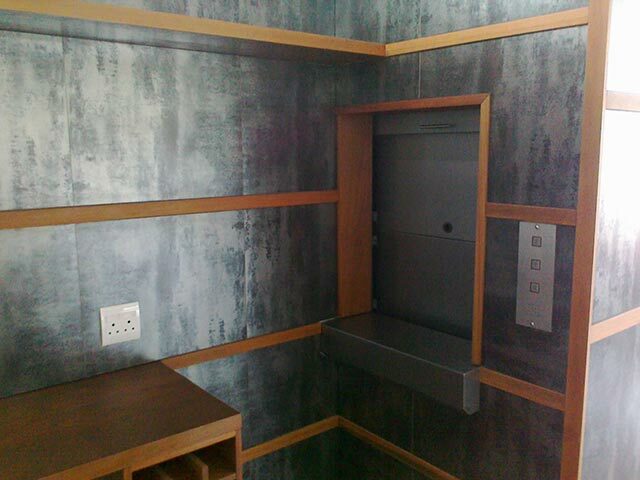 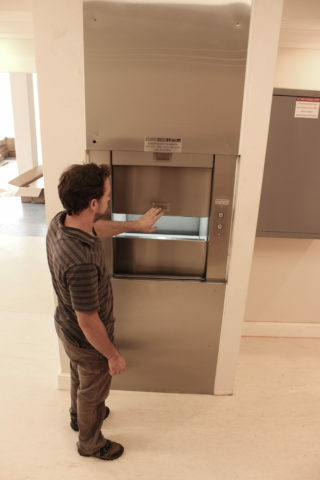 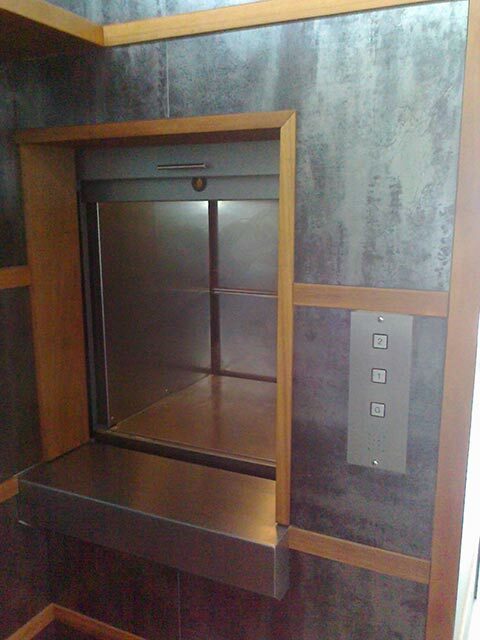 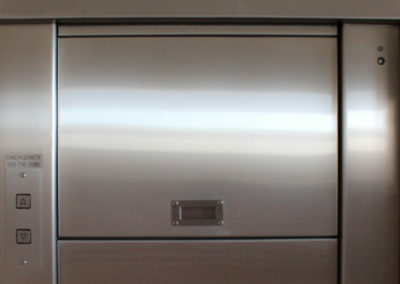 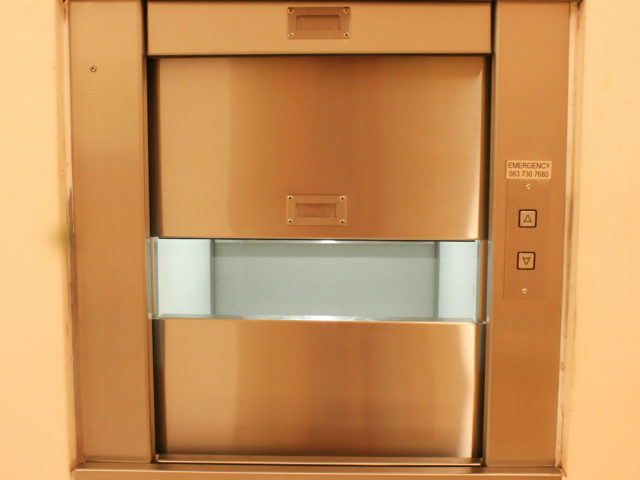 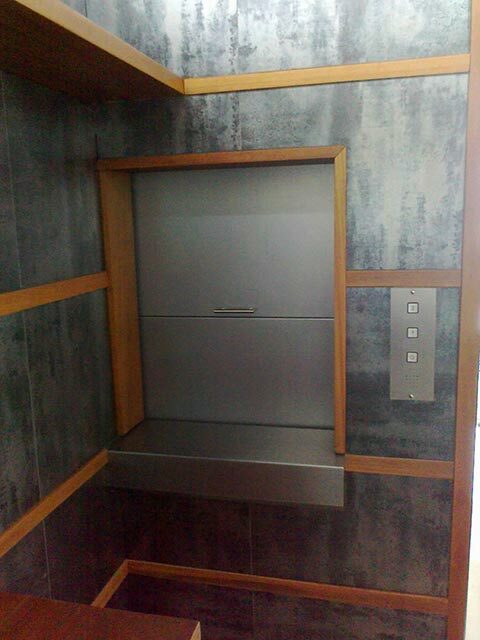 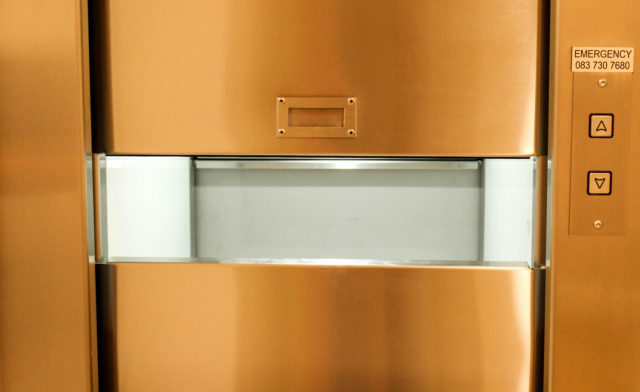 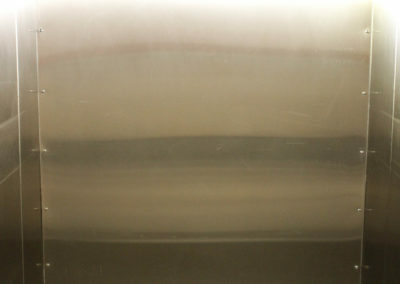 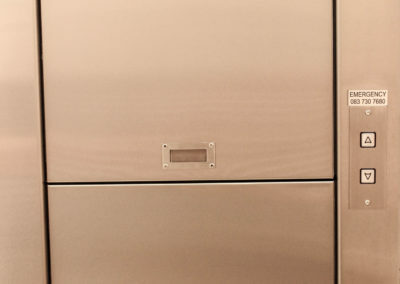 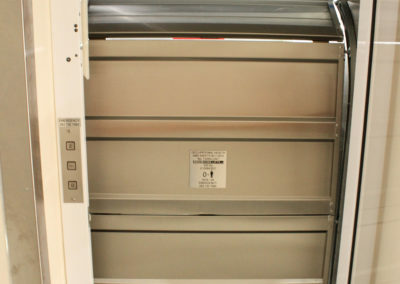 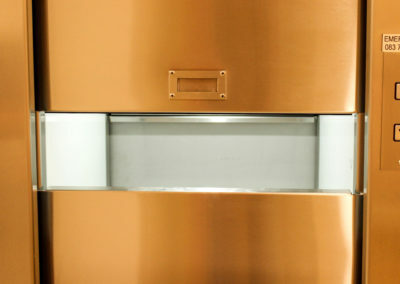 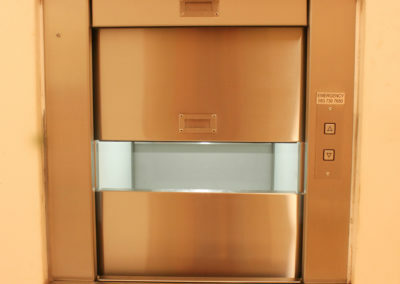 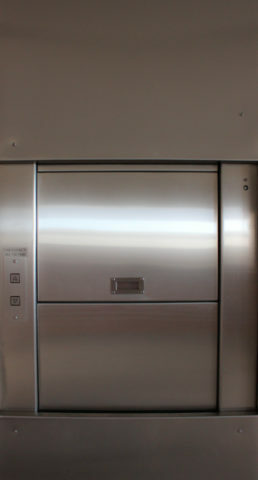 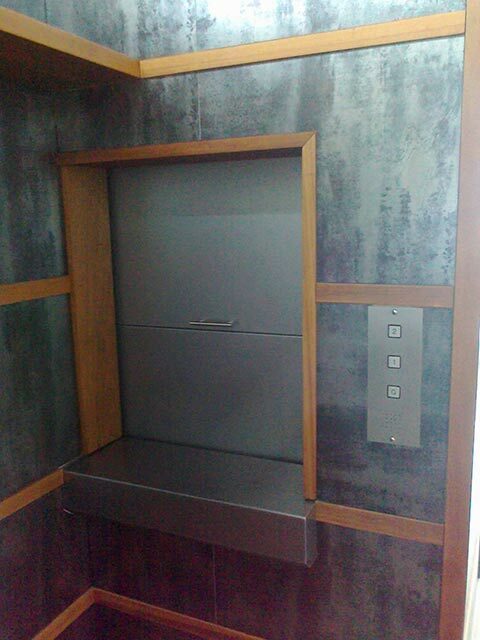 The Dumbwaiter Lift can be custom build according to the clients specifications and designs. 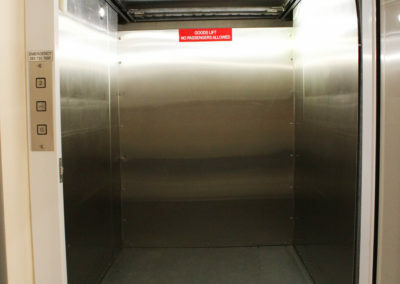 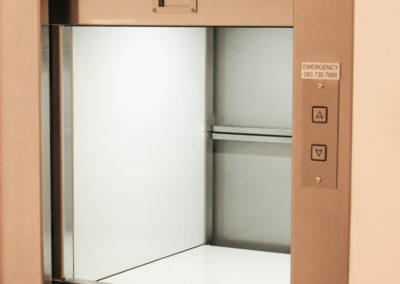 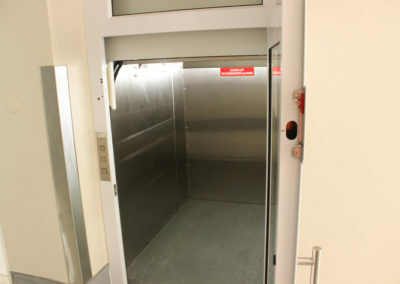 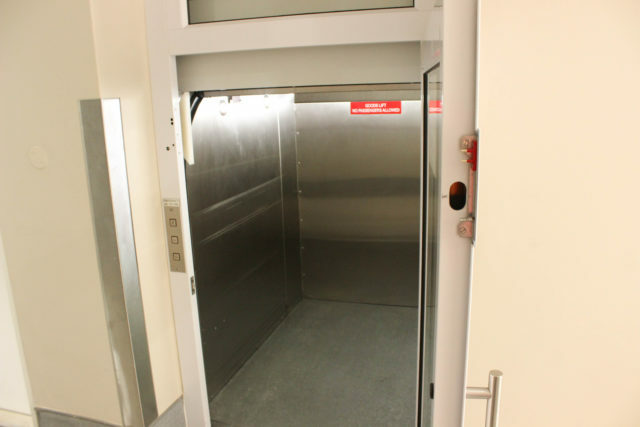 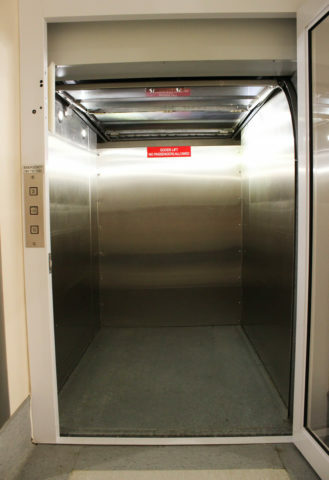 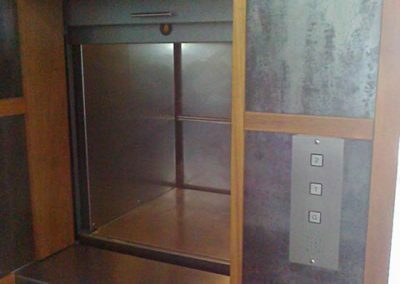 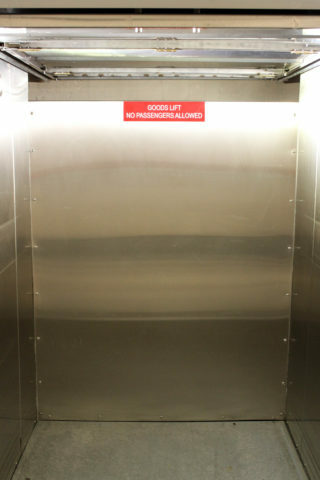 Depending on the shaft size and dimensions available, either a hydraulic or electrical dumbwaiter lift can be manufactured.